See the Stars on Broadway with Group Tickets | All Tickets Inc.
Menzel sets a standard for musical performance. Get Broadway group tickets to see the stars for less. Broadway is packed with some of the biggest names in entertainment and you have the chance to see them in performance live. Appearing this season are F. Murray Abraham, Matthew Broderick, Stockard Channing, and Nathan Lane. And that’s just in one show, Terrance McNally’s It’s Only a Play. There are many other plays and plenty of musicals that include some of the top names in the business. 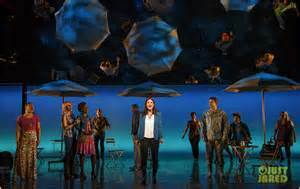 Tony winner Idina Menzel (Wicked) stars in If/Then, the musical by Brian Yorkey and Tom Kitt that plays with the idea what if you made this decision or that one, what would the results be? Along with being a headliner on Broadway, Menzel is well known for singing Let It Go from Disney’s Frozen. Menzel offers a big and expressive voice that can express just about any emotion you can imagine. 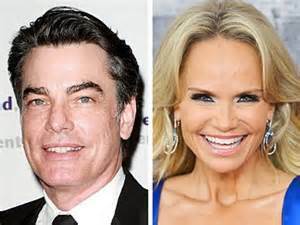 Gallagher and Chenoweth star in On the 20th Century. The revival of On the 20th Century will preview on February 18, 2015 and open on March 18th. Starring Peter Gallagher and Kristin Chenoweth, the first Broadway revival of the Cy Coleman, Betty Comden, and Adolph Green musical, which originally starred John Cullum, Imogene Coca, Madeline Kahn, and Kevin Kline, offers groups the opportunity to enjoy a smart, funny, and clever musical. On the 20th Century looks to be pure lunatic fun. On the Twentieth Century offers audiences a madcap train ride that is an express to hilarity. On the Twentieth Century gives us Oscar Jaffe, a struggling, downtrodden, and desperate Broadway producer, who fights to convince Lily Garland, a successful film actress who is also his former lover and muse, to come back to the Great White Way in an monumental drama. However, the drama, which takes as its subject Mary Magdalene, does not actually exist. The twists and turns in this musical comedy are harrowingly funny. There are plenty of new plays featuring stars. 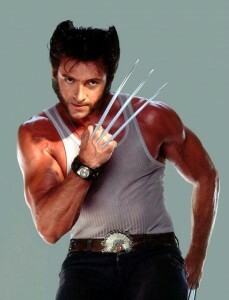 Along with the already mentioned It’s Only Play, is The River, starring film and theatre star Hugh Jackman. The River is set in a rustic, lonely cabin where a man, who loves and lives to fish, and loves two women. Filled with mystery and emotive ambience, The River looks to be a fascinating evening in the theatre. It previews October 31st and opens November 16th for a limited run. Presently open and running on Broadway is Blythe Danner in The Country House, a play inspired by the comedies of the great Russian playwright Anton Chekhov. The Country House is written by Donald Margulies, winner of the 2000 Pulitzer Prize for Dinner with Friend. This play provides audiences with a witty and insightful chronicle of a family of performers who are struggling to understand and deal with the roles they play in each other’s lives. Previewing February 17, 2015 and opening for a limited run on March 8th is Helen Mirren in The Audience. Mirren, who won the 2013 Olivier Award for this role, plays Queen Elizabeth II. The Audience focuses on 60 years of British history and considers what Elizabeth’s weekly private meetings with her 12 different prime ministers must have been like. The revival of Edward Albee’s A Delicate Balance, which begins previews October 20th and opens November 20th, stars Glenn Close, John Lithgow, and Martha Plimpton. A Delicate Balance is an insightful look into upper-middle class fears and desperation. On the boards right now is A.R. Gurney’s Pulitzer Prize-winning play Love Letters. Love Letters, which is played by two actors, includes a tandem of various stars who will perform for limited runs. 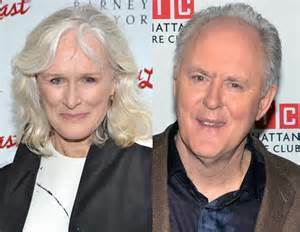 Casts will include Brian Dennehy, Mia Farrow, Alan Alda, Candice Bergen, Carol Burnett, Anjelica Huston, Stacy Keach, Diana Rigg, and Martin Sheen. The classic American comedy You Can’t Take It With You, which is presently running, has James Earl Jones at the helm as Martin Vanderhof. Jones is a Broadway, television, and film icon, whose voice is as distinctive as his physical stature. Elizabeth Ashley is also in the cast, playing the enigmatic Grand Duchess Olga Katrina. 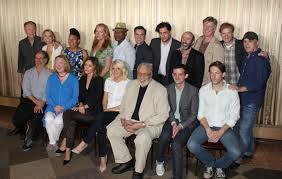 James Earl Jones and the cast of You Can’t Take It With You. Expect to see more plays and musicals with more stars being added to the 2014-2015 Broadway season. This is a rich season for both new shows and revivals that feature some of the most famous and accomplished performers to ever tread a stage. For more information on these and all Broadway plays and musicals, contact All Tickets Inc. at 1-800-922-0716. We offer the ultimate and total New York group experience.